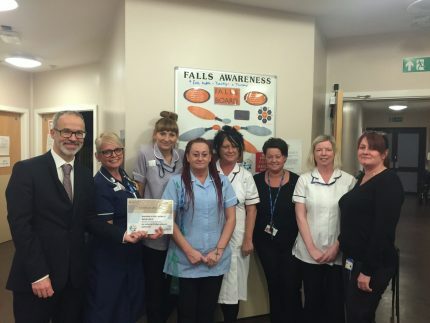 Two units in Barnsley have been awarded certificates for achieving a reduction in the number of falls occurring on their wards. 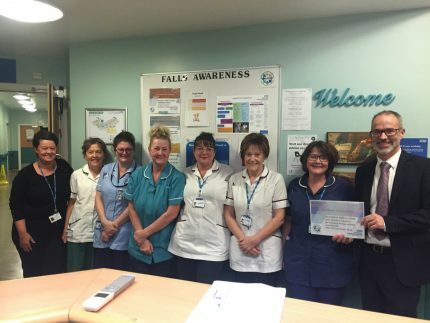 The stroke unit at Kendray Hospital in Barnsley were presented with a platinum award for going 64 days without a fall. They were originally averaging one fall every six days. The neurological rehabilitation unit were also presented with a silver award for achieving 43 days without a fall. Previously, they were experiencing a fall every 18 days. 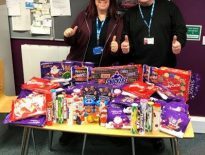 They’ve done this by taking part in safety huddles, which are daily short discussions where team members gather to focus on keeping patients safe from specific and reducing harms specific to their team, for example falls or violence and aggression. Huddles help the team focus on specific safety issues, helping to reduce harm, enhance patient experience and the quality of care. Helen Roberts, patient safety manager, said: “Safety huddles are showing a measurable impact on keeping patients safe; bringing teams closer together by taking time out daily to motivate and inspire each other to provide the best care through improving our culture.